Draft: 2004, Chicago Cubs, 10th rd. Samuel Babson Fuld was originally signed by Cubs' scouts Steve Hinton and Steve Fuller…graduated from Exeter Academy in New Hampshire…listed 19th among the 100 Top High School Prospects of 2000 by Baseball America and selected as the New Hampshire 2000 Gatorade High School Player of the Year…was a two-time All-American and a three-time All-Pac-10 center fielder at Stanford…graduated with a degree in economics…has lived with Type 1 diabetes since he was 10…has hosted an annual Sam Fuld Diabetes Camp for young diabetes patients in conjunction with the University of South Florida Diabetes Center…also hosts annual SLAMDiabetes Sam Fuld Classic Wiffle Ball Tournament in Tampa…interned with Stats Inc. in the fall of 2005 after playing for Peoria in the Midwest League… was inducted into the Cape Cod Baseball League Hall of Fame in 2014…he and his wife, Sarah, have three children, Charles, Jane and William. Spent the entire season on the A's roster and hit .197 in a career-high 120 games…the batting average was fourth lowest in the American League and in Oakland history among players with 300 or more plate appearances…it was the lowest in his six seasons with 20 or more games played…made 65 of his 75 starts in games in which the opponent started a right-handed pitcher…hit .214 (52-for-243) against righthanded pitchers compared to .106 (5-for-47) against left-handers…was successful in 9-of-12 stolen base attempts and is now 18-for-22 (81.8%) in two seasons with the A's…batted .305 over his first 17 games, .092 over a 33-game stretch from April 25 to June 6, .314 over a 15-game stretch from June 7 to 27 and .175 over his final 55 games…hit .238 at night, .136 during the day…is a .262 (210-for-803) career hitter at night compared to .178 (98-for-551) during the day…was 5-for-12 (.417) with 10 RBI with the bases loaded…batted .233 against AL West competition, .160 against all other teams…had a .256 batting average when leading off an inning…started games at all three outfield positions (35 in center field, 31 in left field, nine in right field) and had a career-high 11 assists, which tied for seventh among AL outfielders… tied for fifth in double plays (3)…committed four errors in 108 games overall in the outfield for a .981 fielding percentage…went 1-for-12 (.083) with a walk as a pinch hitter…saw his most action batting ninth (27 starts) and first (26 starts). Began the season with the A's, was claimed off waivers by Minnesota in mid-April and then returned to Oakland at the trading deadline…hit .274 with one home run, 17 RBI and 12 stolen bases in 53 games with the Twins and .209 with three home runs, 19 RBI and nine stolen bases in 60 games with the A's… batted .239 in 113 games overall…had career highs in hits (84), home runs (4), RBI (36), walks (43),stolen bases (21), strikeouts (63) and at bats (351)…was successful in 21-of-25 (84.0%) stolen base attempts, which tied for the ninth best percentage in the American League…stole third six times, which tied for seventh in the AL…batted .298 with runners on base compared to .200 with the bases empty…hit all four of his home runs against right-handed pitchers on the road…batted .185 in the Coliseum, .263in all other ballparks…now has a .192 (23-for-120) career average in Oakland…hit .165 with a .252 on- base percentage when leading off an inning…10 of his 36 RBI gave his team the lead, including seven of19 with the A's …started 58 games in center field (including 21 with the A's), 23 in left field (15 with the A's) and 14 in right field (10 with the A's)…had a career-high seven assists in 107 games overall in the outfield…five came as a center fielder, which tied for fifth among AL center fielders…made two errors, but had none in 54 games with Oakland…went 2-for-9 (.222) with a RBI as a pinch hitter…both of the hits were doubles…tied for second among AL pinch hitters in doubles…started games at every spot in the order except third through sixth and saw his most action with 26 starts batting ninth and 26 batting second…hit .318 from the nine spot in the order, .214 in all other spots. Completed his sixth major league season and third with the Rays…appeared in 119 games and made 48 starts (20 in center field, 17 in left field, 11 in right field)…appeared in 70 games as a sub, which were the most by any American Leaguer since Brian Anderson had 70 with Chicago in 2008…was one of six AL outfielders to start at least 10 games at all three outfield positions, along with Chris Young (OAK), Rajai Davis (TOR), Michael Saunders (SEA), Don Kelly (DET) and Trevor Crowe (HOU)…of his 48 starts, 21 were against left-handed pitchers…batted .273 (18-for-66) against lefties but only .155 (17-for-110) vs. right-handers…entered the season with a career .252 average against righties and .230 against lefies...became the third position player to pitch in Rays franchise history Sept. 2 at Los Angeles (AL), joining Josh Wilson in 2007 and Wade Boggs in 1999…retired J.B. Shuck on five pitches to end the eighth and was clocked between 86-88 mph…it was his first time pitching since high school…had 17 RBI on the season…of his five RBI in August and September, four of them came on three go-ahead hits in the 6th inning or later: Aug. 16 against Toronto's R.A. Dickey (RBI single), Aug. 7 at Arizona (two-run single off Joe Thatcher) and Aug. 4 against San Francisco (RBI single off Jose Mijares)…prior to those, hadn't recorded a go-ahead RBI since June 18, 2011 against Florida…both his home runs came in June…his blast June 9 against Baltimore was his first homer since May 27, 2011 against Cleveland…homered off Esmil Rogers June 24 against Toronto, capping the second back-to-back-to-back home runs in Rays history…followed James Loney and Wil Myers …made his first career Opening Day start, in right field against Baltimore…made the Opening Day roster for only the second time in his six major league seasons (2011 Rays)…made a diving catch in right field and another in left field with the bases loaded to end the eighth inning…appeared in two postseason games for the Rays…entered the Wild Card game at Cleveland as a pinch runner in the seventh inning, remained in the game as a center fielder and then struck out in the ninth inning…also pinch ran in Game 3 of the ALDS against Boston and scored a run. Missed the first 96 games of the season whilerecovering from surgery to repair ligamentsin his right wrist, an injury he incurred duringspring training...underwent surgery on April 3and was reinstated on July 24, beating the expected recovery time of four-five months...After rejoining the club, played in 44 of the team's last 66 games (23 starts, 11-RF, 9-LF, 3-CF)...batted .255/.318/.327 (25-for-98) withseven SB and 14 runs scored...went 2-for-24 from Sept. 7 through season's end, dropping his average from .311 to .255...Hit .300/.364/.400 (18-for-60) in 27 games on the road, compared to .184/.244/.211 (7-for-38) in 17 games at Tropicana Field...Hit .372 (16-for-43) when playing right field, compared to .164 (9-for-55) everywhere else... went 5-for-16 (.313) with RISP...Was sidelined early in spring training with inflammation in his right wrist...appeared innine spring training games before exiting thegame March 23 vs. TOR when he injured the wrist on a swing...on April 3 in Cleveland, Dr. Thomas Graham performed surgery to repair the ligaments. On Aug. 28 at TEX became the second player in Rays history to record three hits in a game he didn't start, joining Aaron Ledesma who went 3-for-4 on Aug 29, 1998 at DET (Game 1)...entered for RF Matt Joyce, who suffered a leftforearm strain...Sustained a mild right hamstring strain on Sept. 16 at NYY, causing him to miss nine games...Appeared in 10 games on rehab assignment between Class-A Charlotte (5) and Triple-A Durham (5), beginning July 7. Spent his first full season in the majors at the age of 29...Was one of 3 finalists among AL left fielders for a Gold Glove despite the fact that he made only 76 outfield starts (68-LF, 4-CF, 4-RF)...Finished 2nd among all major league players in ESPN "Web Gem" points...had 11 different plays nominated as Web Gems, most of any ML outfielder and tied with KC Alcides Escobar for 3rd most in the majors behind CLE Asdrubal Cabrera (13)...Was scheduled to open the season as Johnny Damon's backup in LF, but when Manny Ramirez retired on April 6, he started 37 of the next 38 games...started 66 of the Rays first 99 games through July 22, but only 11 of the last 63 after Desmond Jennings was recalled from Triple-A Durham...started only once in the Rays last 31 games...Led the AL with 6 pinch-hits...also led all AL pinch-hitters with 6 BB, 6 R and a .571 OBP, all club records...his 21 plate apps as a pinch-hitter were 2nd in the AL behind TOR/CWS Mark Teahen (27)...Stole 20 bases in 28 attempts, tied for 2nd most on the team after B.J. Upton (36)...10 of his stolen bases came in April, tied with SEA Ichiro Suzuki for the AL lead and 1 shy of Carl Crawford's club-record 11 in 2004...entered 2011 with 2 SB in 98 career games...Was leading the AL in batting avg. on April 22, when he was tied with NYY Alex Rodriguez at .366 and topped the AL with 9 SB...was the first to lead the AL in both categories on that date since BAL Luis Aparicio in 1963...On April 9 at CWS made a diving catch on the warning track ending a 4th-inning, bases-loaded threat and robbing Juan Pierre of extra bases...the play was named the No. 4 Play of the Year by MLB Network...On April 11 at BOS made his Fenway Park debut...established career highs with 4 hits (all for extra bases), 3 RBI, 3 runs and 11 total bases...fell a single short of the cycle, and logged a second double in his last at-bat...the HR was his first homer since Oct 4, 2009 vs. ARI (Doug Davis)...His 4 extra-base hits tied the Rays franchise record...the 4 extra-base hits and 11 total bases set an all-time record for a Fenway Park debut (visiting or Red Sox player)...became the third leadoff hitter ever to record 4 extra-base hits at Fenway Park, joining BOS Wade Boggs (July 25, 1989 vs. KC) and DET Lou Whitaker (June 8, 1983)...Became the first New Hampshire-born player to hit a home run at Fenway Park since BOS Phil Plantier on Oct 3, 1992 vs. NYY...was the fourth overall joining Plantier (11-HR), Kevin Romine (4) and Red Rolfe (2)...On Aug 10 vs. KC, capped a 5-run rally in the 9th inning with a walk-off RBI triple off Joakim Soria...Elliot Johnson scored as the tying run, and Fuld came around to score the winning run on the same play on an error by 2B Johnny Giovatella...marked the first-ever Rays win on a walk-off triple...it was Fuld's first career walkoff hit...On June 20 at MIL, pinch-hit and then took the mound after the inning but had not yet thrown a pitch when Cesar Ramos replaced him...did not count as an official appearance. Spent the majority of the season at Triple-AIowa (Cubs) where he led the club with 9 triples(5th in the Pacific Coast League) and was 2ndin walks (66) and steals (21) ... was up with theCubs briefly in August and again in Septemberand made a total of 5 starts for the parent club. ... For the fifth time in six pro seasons, had morewalks than strikeouts ... his ratio of 66 walks to37 strikeouts was the 2nd best in all of Triple-Atrailing only Wes Timmons (60 to 33) from theInternational League's Gwinnett Braves. ... Has walked 325 times and struck only 272 duringhis pro career ... in his last 301 games, includingmajors and minors, he has struck outmore than once in a game only seven times. ... Made 88 starts for Iowa, all in CF ... hit leadoffin all but two of those starts. ... Batted .302 (49-for-162) with 37 walks and 13strikeouts in the final 47 games of the seasonat Triple-A ... tied his career high with a 5-hitgame Aug 30 at Albuquerque (Dodgers) andhad a pair of 4-run games within a 5-gamespan in July. ... Was recalled Aug 19 by the Cubs when 1BDerrek Lee was traded to the Braves, threedays before Lou Piniella retired as manager ... appeared in 3 games without a start and wasoptioned back Aug 22, just as Mike Quadewas named manager ... returned as a Septembercall-up. ... In his first start of the season for the Cubson Sep 19 at FLA he batted leadoff and went2-for-5 with a double and 2 runs scored in a13-3 win. ... On Sep 25 vs. STL went 2-for-4 with a gamewinning,two-run single in the 3rd inning off16-game-winner Chris Carpenter. ... Was on the Triple-A disabled list April 13-23with soreness in the webbing between his leftthumb and forefinger. Sam split the season between Triple-A Iowa and the Cubs ... had three stints with the big league club (June 29-July 6, July 11-18 and July 31 through the end of the season).... Appeared in 65 games for Chicago, hitting .308 (8-for-26) off lefthandedpitching and .296 (21-for-71) off righthanders.... Played 26 games in center field (18 starts), 29 games in left field (fourstarts) and made two appearances in right.... Batted .417 (10-for-24) with a .533 on-base percentage when leadingoff an inning.... Posted a .355 batting average (11-for-31) with a .459 on-base percentagein 24 September games.... Recorded his first career big league hit with a first-inning double July 1off Pittsburgh's Virgil Vasquez.... Notched his first career pinch hit July 16 in Washington - a ninth-inningsingle.... Recorded career-best three-hit games twice: September 25 in SanFrancisco and September 29 vs. Pittsburgh.... Had gone 101 at-bats to begin his career before picking up his firstcareer RBI on his first career homer - a solo shot off Arizona's Doug Davisin the season finale, October 4.... Batted .284 (93-for-328) with a career-best 23 stolen bases in 84games for Iowa.Had a .398 batting average in June to lead the Pacific CoastLeague.... Led Iowa with 11 outfield assists while manning center field.... Struck out once every 15.42 plate appearances, making him the thirdmostdifficult hitter in the PCL to strike out (seventh-hardest in minorleague baseball). Sam appeared in 105 games between Triple-A Iowa and Double-A Tennessee, combining to hit .264 (106-for-402) with a careerhigh52 RBI... After joining Tennessee May 16, garnered a .271 (92-for-339) battingaverage with 50 walks and 48 RBI in 85 games.... Hit .311 (32-for-103) against southpaws with the Smokies.... Batted a monthly-best .345 (38-for-110) with five doubles, two homersand 14 RBI in 27 August contests.... Was 27-for-90 (.300) with 42 RBI with runners in scoring position forTennessee.... Went 14-for-29 (.483), May 28-June 3, to raise his average 149 pointsfrom .122 to .271.... Rode a 16-game hitting streak, August 10-28, hitting at a .435 clip (30-for-69) with 11 walks, four stolen bases, 11 runs scored and 10 RBI overthe stretch.... In 20 games with the I-Cubs, posted a .222 average (14-for-63) withthree doubles, one homer, 11 runs scored and four RBI to start the year.... Hit at a .314 clip (37-for-118) with 25 walks, 10 doubles, five triples,four homers, 11 RBI and 27 runs scored in 35 games with Tigres deAragua of the Venezuelan Winter League. Sam spent the majority of the season with Double-A Tennessee and Triple-A Iowa before joining the big league club September 4to close out the season ... named Most Valuable Player of the Arizona Fall League.... With Chicago, appeared in 14 games, including seven as a pinch-runner.... Selected from Tennessee September 4 and made his major league debutas a defensive replacement in center field September 5 vs. the Dodgers.... Scored his first major league run as a pinch-runner September 6 vs. theDodgers.... Batted .287 (111-for-387) with a .376 on-base percentage and 50walks compared to just 43 strikeouts in 104 games between Tennesseeand Iowa.... Hit .365 (31-for-85) with a .432 on-base percentage and 13 RBI in 23games for Tennessee in June.... Batted .402 (43-for-107) in 29 games for the Mesa Solar Sox en routeto Arizona Fall League MVP honors... Led the league in hits (43), doubles (11), total bases (67), onbasepercentage (.492), slugging percentage (.626) and OPS(1.118)... Was one of six players to steal 10 or more bases... Named the winner of the Dernell Stenson Sportsmanship Award,presented annually to the Fall League player who best exemplifiesunselfishness, hard work and leadership. Appeared in 89 games with Single-A Daytona, batting .300 (106-for-353) with 19 doubles, six triples, four homers and 40 RBI.... Batted .400 (2-for-5) with the bases loaded, .346 (28-for-81) withrunners in scoring position and .425 (17-for-40) with RISP and two outs.... Had a season-high four hits April 25 at Jupiter, going 4-for-5 with adouble and four RBI.... Batted .413 (45-for-109) in the month of May with four doubles, fourtriples, two homers and 16 RBI... Had a 16-game hit streak, May 12-28 ... batted .477 (31-for-65)over the stretch. Saw action in 125 games for Peoria, batting .300 (133-for-443) with 32 doubles, six triples, five homers and 37 RBI.... Batted .317 (72-for-227) in 67 home contests as opposed to a .282mark (61-for-216) on the road.... Had a season-high four hits on three occasions throughout the season ...also had eight three-hit games and 24 two-hit contests.... After batting .227 (30-for-132) in April and May, finished the season bybatting .331 (103-for-311) and hitting all five of his home runs over thefinal 83 games.... Had a 17-game hitting streak, June 16-July 5, batting .407 (24-for-59)over the stretch. November 3, 2016 LF Sam Fuld elected free agency. October 7, 2016 Oakland Athletics activated LF Sam Fuld from the 60-day disabled list. July 31, 2014 Oakland Athletics activated LF Sam Fuld. June 13, 2014 Minnesota Twins activated CF Sam Fuld from the 15-day disabled list. June 6, 2014 Minnesota Twins sent CF Sam Fuld on a rehab assignment to New Britain Rock Cats. April 22, 2014 Minnesota Twins activated CF Sam Fuld. 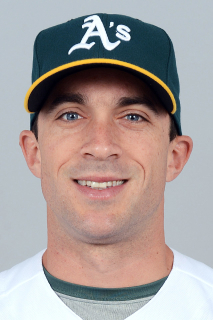 April 20, 2014 Minnesota Twins claimed LF Sam Fuld off waivers from Oakland Athletics. April 12, 2014 Oakland Athletics designated LF Sam Fuld for assignment. March 29, 2014 Oakland Athletics selected the contract of LF Sam Fuld from Sacramento River Cats. February 4, 2014 Oakland Athletics signed free agent LF Sam Fuld to a minor league contract and invited him to spring training. February 4, 2014 LF Sam Fuld assigned to Sacramento River Cats. December 2, 2013 LF Sam Fuld elected free agency. July 24, 2012 Tampa Bay Rays activated LF Sam Fuld from the 60-day disabled list. July 15, 2012 Charlotte Stone Crabs sent LF Sam Fuld on a rehab assignment to Durham Bulls. July 7, 2012 Sam Fuld assigned to Charlotte Stone Crabs. April 15, 2012 Tampa Bay Rays transferred LF Sam Fuld from the 15-day disabled list to the 60-day disabled list. April 4, 2012 Tampa Bay Rays placed LF Sam Fuld on the 15-day disabled list. Recovering from April 2012 right wrist surgery. September 7, 2010 Chicago Cubs recalled Sam Fuld from Iowa Cubs. August 23, 2010 Chicago Cubs optioned Sam Fuld to Iowa Cubs. August 19, 2010 Chicago Cubs recalled Sam Fuld from Iowa Cubs. April 23, 2010 OF Sam Fuld roster status changed by Iowa Cubs. April 15, 2010 Iowa Cubs placed LF Sam Fuld on the 7-day disabled list retroactive to April 13, 2010. March 30, 2010 Chicago Cubs optioned LF Sam Fuld to Iowa Cubs. December 9, 2009 OF Sam Fuld assigned to Tigres de Aragua. July 31, 2009 Chicago Cubs recalled Sam Fuld from Iowa Cubs. July 19, 2009 Sam Fuld assigned to Iowa Cubs. July 11, 2009 Chicago Cubs recalled Sam Fuld from Iowa Cubs. July 6, 2009 Chicago Cubs optioned Sam Fuld to Iowa Cubs. June 29, 2009 Chicago Cubs recalled Sam Fuld from Iowa Cubs.